TYLT has developed a product that is always pushing the boundaries. We are inclined to innovate, and are always looking at new ways to help you to form a connection between you and your devices. Since 2011 our goal has been focused on the mobile world and to provide high quality designs, in easy to use devices, with exceptional value to our customers. The TYLT Vu Solo solves the biggest pain point of single coil wireless chargers, ALIGNMENT. Simply match up the coils once, set the alignment ledge to touch the top of your device, and then enjoy easy hassle-free charging, no matter how large your phone or tablet may be. The vibrant silicone colors provide a premium, anti-slip surface, and micro suction base secures the Vu Solo to solid surfaces. Works with all Qi devices and will charge through cases and covers, including the iPhone X, 8 and 8 Plus, and Samsung Galaxy S9, S8, and S7. We are so confident in the quality of our devices that we back everything with a one year warranty. TYLT warrants, for one year, this product shall be free of defects in design, assembly, material, or workmanship. TYLT will repair or replace, at its option, any defective product free of charge (except for shipping charges for the product). FINALLY, FAST Qi WIRELESS CHARGING: Wirelessly charge any Qi-enabled phone with no plugs or connectors. The VÜ SOLO Charging Pad is a future-proof stand that creates a fast, safe, and easy charging dock that can quickly recharge your phone's battery at the same speed as a traditional charger. Pick your favorite color and get to charging asap. SLIP RESISTANT PROTECTION: The VÜ SOLO has been designed with a vibrant silicone surface to prevent the phone from slipping, as well as a micro-suction base to ensure the charger sticks to the surface. Stop worrying about losing a charging connection, VÜ SOLO has you covered. HASSLE FREE DEVICE PLACEMENT: In order to achieve perfect charging every time, simply match up the coils with your Apple iPhone, Samsung Galaxy/Edge/Note, Google Nexus, LG G6, or any Qi-compatible smartphone once, set the alignment ledge to touch the top of your device, and then enjoy easy hassle-free charging. You won't even have to take off your phone case, because it can charge through most cases. 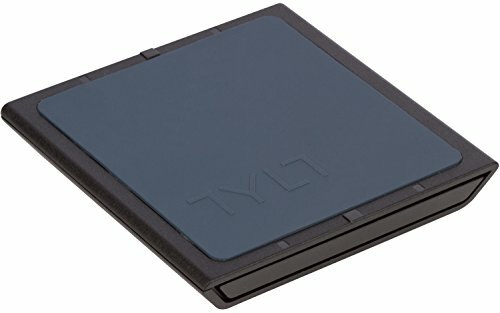 TYLT POWERS LIFE'S ADVENTURES: Our goal is to connect to you and your devices. Our focus is innovation in the mobile world. TYLT was established in 2011 simply to provide high quality design in easy to use devices, while delivering exceptional value to our customers. We are so confident in the quality of our devices that we back everything with a one year warranty. If you have any questions about this product by TYLT, contact us by completing and submitting the form below. If you are looking for a specif part number, please include it with your message.